When moving 50 to 200 tons on a repetitive basis in industries such as aerospace, stamping, automotive, defense, rail, and marine, the pressure to implement creatively safe, yet relatively inexpensive methods to transport heavy, awkward, yet often delicate goods becomes more significant. In many such manufacturing plants, cranes and conveyors transport parts, large sections, and finished goods along fixed paths. Manufacturing relies heavily on quality and time-to-market as producers seek to build and retain their customer base. To achieve these goals requires attention to modernization, especially as companies face increased competition, reduced margins, and ongoing consideration of personnel safety. Suspended loads, which right-thinking supervisors deem as unnecessarily dangerous, characterize the crane technology. Savvy COOs often view the monuments to support overhead cranes and the structures to house huge conveyors as unproductive, wasted space. Is it worth changing to newer technology? Monument demolition or construction spoils the time-to-market part of the equation in the short term, and fixed-path moves are a thing of the past. Quality suffers along with productivity when entire production lines are slowed or halted during a transfer, a repair, or a redesign. Momentum and focus are lost. In short, moving heavy objects is often difficult, expensive, labor intensive, and dangerous. Defining “heavy” is subjective and relational. One hundred tons would be the equivalent of 75 compact cars—all stacked in one place. Two hundred tons (400,000 pounds) is the weight of some diesel locomotives. For companies facing worldwide competition, cost savings of any kind are appealing. The trend to increase manufacturing in America known as “on-shoring” means more companies will seek production facilities in the U.S. The “Made in the USA” label holds international cachet, and Airbus (Mobile, AL), Rolls Royce (Reston, VA), and Michelin Tires (10 U.S. locations) have opened plants in the U.S. Although sometimes complicated and highly regulated, the stability of the U.S. business system offers a reliable infrastructure (water, power, and roads) unlike some developing nations. As such, all manufacturers with factories in the U.S. seek expense reductions and efficiencies to offset some of the higher costs of doing business in America. Better use of space and resources are two ways of achieving a competitive advantage — increasing quality, and reducing time to market. 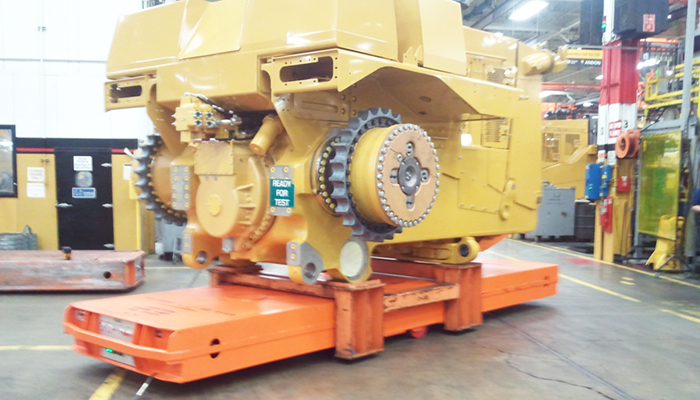 In the past, 50 to 200-ton pieces of equipment, transformers, tractors, etc. have been moved on a wide variety of conveyors and overhead cranes. From a practical standpoint, forklifts are not an optimal way to move loads in the >50-ton category. The advantage to cranes is that by lifting heavy, expensive items up and away, cranes carry their loads high above the factory floor. A single trained individual can operate very large cranes using remote systems, wireless remotes, pendant stations, etc. Cranes have been used successfully for a long time. Conveyors offer efficiency, a large selection of conveyor materials and configurations, and predictability. Conveyors have proven themselves over the years. At the same time, both cranes and conveyors have disadvantages as well, which can be categorized in terms of safety, efficiency, plant and opportunity costs, portability, and installation expenses. Historical U.S. Department of Labor, Bureau of Labor Statistics show a general reduction in fatalities, but the problem still exists. As recently as November 9, 2017, the U.S. Occupation and Safety Administration (OSHA) issued a final rule setting the compliance date for Crane Operation Certification Requirements to go into effect on November 10, 2018. Overhead cranes are limited. When production quality is high and the production cycle is well honed, cranes are useful. However, should a work-in-progress or a finished piece require somewhat frequent removal from the production line for repairs or refinement, the use of cranes can slow the assembly line. Downtime is increased, flow is reduced, and scheduling is disrupted. Quality suffers; time-to-market increases. As part of the analysis for an overhead crane, companies need to consider whether the building’s construction can handle the size of the crane’s dimensions necessary to transport production throughput. Is the ceiling high enough? Is the warehouse area large enough? Does the company have to relinquish manufacturing area to make space for the crane footings and supports? Could the company use this space more efficiently? A building retrofit to accommodate a crane is expensive, delays the start of production, and lastly, may be denied by the building owner if the space is leased. The crane and its footings and supports cannot be re-deployed to another building on the production facility’s campus without great expense. Cranes, while useful in many environments, are costly. For example a crane can handle up to 100 tons, but can cost $400,000 for purchase and installation. 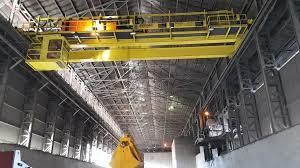 A 200-ton capacity overhead crane costs around $1 million. Beyond the larger general category of cranes, other variations—single or double girder, gantry, monorail, jib, or workstation, etc.—must be researched and planned. Then the correct frames and frame materials, supports, rails, etc., need to be purchased and assembled. In addition to materials and construction costs, the planning, customization, maintenance, repairs, and personnel training (certification will be required in November 2018) all take time and cost money. Overhead cranes not only threaten the safety of plant workers, but dropping an expensive and valuable load from high overhead is both a scheduling and financial disaster. A single dropped section can run into millions of lost dollars. The plant’s floors and facility can be damaged, and the delayed delivery may cause a breach of contract or worse, a defensive gap for military or aerospace applications. Conveyors and other assembly line accessories are especially helpful when workstations are sequenced to meet production deadlines. Conveyors are low risk. In addition, they have proven to be accepted methods of achieving reduced cycle times. Yet there are drawbacks to conveyors, which include some inefficiencies, physical plant and opportunity costs, installation expenses, and low portability. When a product has broken or needs a part or redesign, the conveyor must be stopped to remove the item. Assembly flow is ruined. Work interruptions negatively affect Cost of Goods Sold (COGS), and scheduling and time-to-market are adversely impacted. Conveyor belts, rollers, etc. and their carriers are disruptive to install. The cost of materials and engineering to fit the correct path to the production line can run in the thousands of dollars. Existing production is stopped, slowed or delayed to install or re-install a system, which can include cutting the floor and pouring new concrete. A leased building might preclude this solution altogether. Once in place, the conveyor’s structure cannot easily be changed nor the assembly-flow redirected or reconfigured. Moving the system in its entirety to a different building incurs almost the same costs as installing a whole new system. Manufacturers in the world marketplace increasingly seek lower cost solutions for production-related challenges. Massive, weighty, expensive, and valuable items are particularly problematic. While cranes and conveyors work well for many applications, AeroGo, Inc. offers a flexible, state-of-the-art solution. The recently reengineered SILVERBACK Wheeled Transfer Cart (WTC) meets the pressing demands of industries such as vehicle manufacturing, aerospace, heavy equipment, and marine engine manufacturers. Some of the advantages include safety, efficiency and flexibility, maneuverability, portability, easy implementation, and cost effectiveness with a measurable ROI. With the SILVERBACK WTC, transported loads are only inches off the floor. The personnel hazards associated with cranes or rigging processes are removed, and the SILVERBACK radio remote control device provides 100% walk-around operator visibility. Overhead impact load accidents are eliminated. The cart’s audible and visual alarms are operational while transporting important payloads. The AeroGo WTC eliminates first-in-first-out (FIFO) requirements, and needs a minimal operational footprint to enable maximized utilization of floor space. No rails, footings, or supports are needed for the vehicle to function. The cart’s integrated lift system provides self-loading capability, which in turn makes it possible for the cart to be shared across multiple production stations. As opposed to a one-use location transporter like a crane, this cart can be quickly re-deployed to lift, move, and deliver its load to an entirely different location. Its flexibility also derives from its maneuverability. The AeroGo SILVERBACK Wheel Transfer Cart is engineered with precise movement proficiency through multiple steering modes. It can rotate within its own footprint, unlike forklifts or other conventional ride-on vehicles. The brake and acceleration function is designed to create the soft start/stop that prevents a multi-million-dollar product from “momentum-sliding” off its perch on the cart. Unlike cranes and conveyors, AeroGo Wheeled Transfer Carts do not require permanent installation in the facility. The largest of the three sizes is 20 feet long and can be relocated easily and used in multiple buildings on site or in other cities and states. Once delivered, it is easy to implement and ready to run with minimal training. The product’s heavy-duty wheels run smoothly and wear well on typical, fairly clean, factory floors. Unlike with the use of cranes and conveyors, no facility modifications are required. There is no need for a compressed air system, and there are no hoses to tether or restrict the movement of the WTC as it traverses from one end of the plant to the other. No time is wasted waiting for engineers and builders to finish so the production can begin. Assembly slow-downs are greatly reduced, if not eliminated. Productive floor space is maximized. Maintenance is handled through a system of easy-to-read maintenance diagnostics and scheduling reminders are built into the product’s software. Two or more WTCs can be linked together and controlled by a single operator to accommodate heavier loads. Transferring massively heavy, yet extremely delicate and expensive parts and finished goods, whether for aerospace, automotive, marine or other industries, presents challenges of safety, efficiency, and expense. Maximizing production facility floor space while addressing product quality and time-to-market issues demands attention, vigilance, and creativity in manufacturing endeavors worldwide. AeroGo’s SILVERBACK Wheeled Transfer Carts deliver modern, state-of-the-art transfer solutions that are safe, efficient, flexible, portable, and durable. The company’s SILVERBACK brand WTCs can be easily integrated into many manufacturing environments alongside existing cranes and conveyors. AeroGo’s Wheeled Transfer Carts are backed with 20 years of engineering enhancements and come in three sizes to provide modern and enduring results. Since 1967, AeroGo, Inc. has been manufacturing innovative load-moving equipment, using wheels and hovercraft technology to move heavy, awkward, or delicate loads. Companies large and small benefit from AeroGo’s worldwide dealer network, experienced product specialists, and skilled engineers. 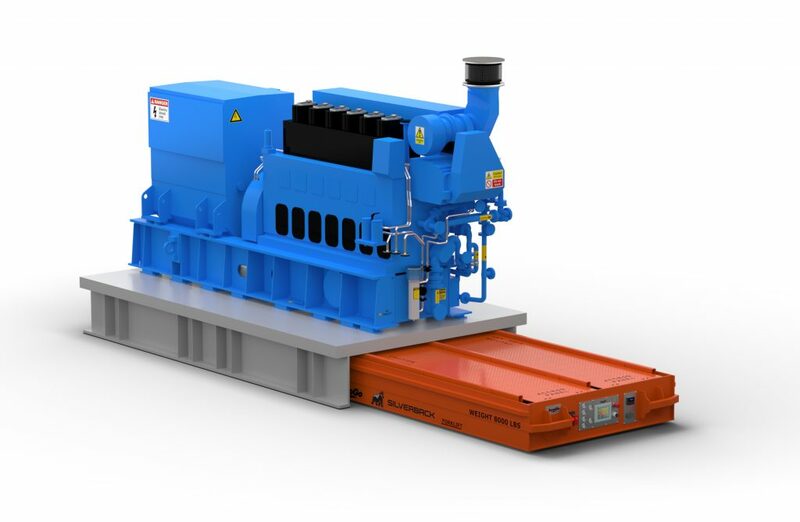 From standard product offerings to highly customized engineered systems, AeroGo has an innovative solution for every load moving need. AeroGo, Inc., was awarded the 2017 Washington Manufacturing Awards: Manufacturer of the Year – Small Firms in the Seattle Business Magazine’s Washington Manufacturing Awards contest on April 26, 2017.